Even though I was living in the house, I designed the house for the next buyer. 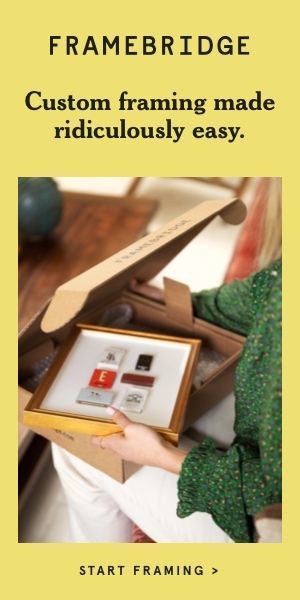 I chose neutral colors instead of guessing what color palette the buyer would want. My primary color was gray. 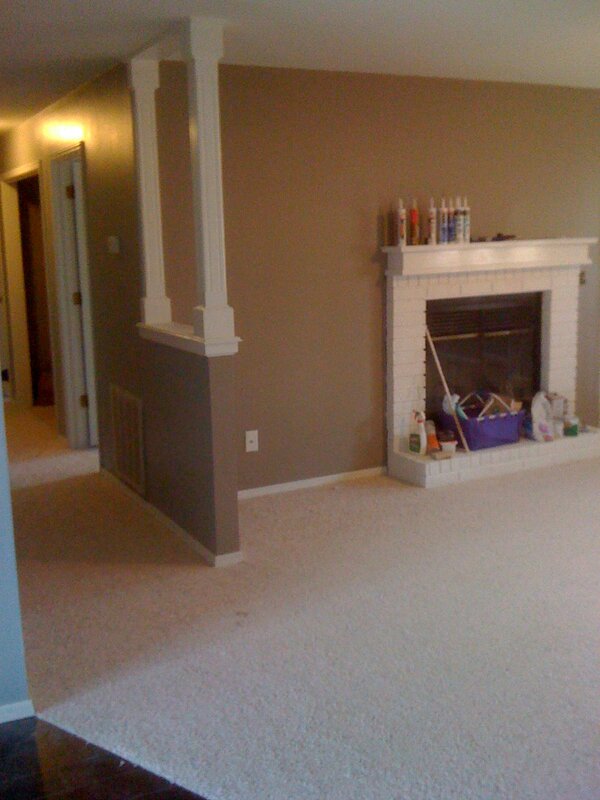 I like gray because it makes a room look clean and modern. I used pops of color in my staging, and I think it turned out great. 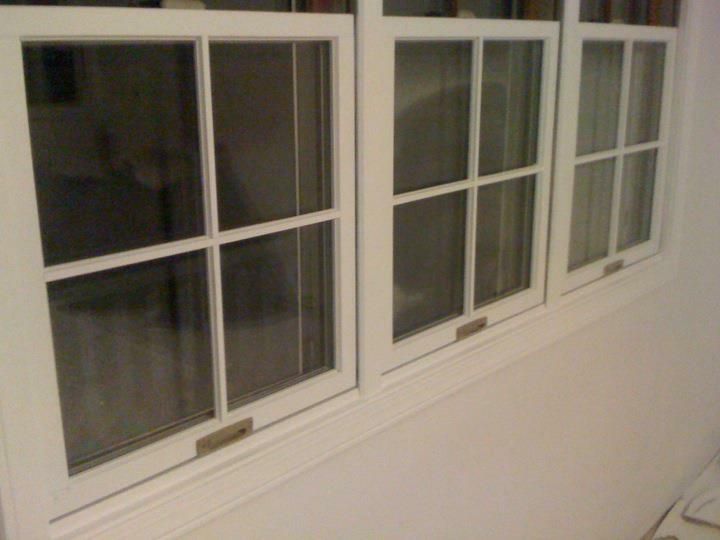 I highlighted the high-end wooden windows. They were unique and added to the charm of the home. By painting them a crisp white, they definitely stood out. Since the window panes were removable, the painting process was a lot easier. All of the light fixtures were replaced. I chose modern and simple light fixtures. I purchased most of them on clearance racks at various home stores. In the master bathroom, the sink/toilet/tub were gray. Instead of replacing them, I decided to keep them and accent them to make them look modern. 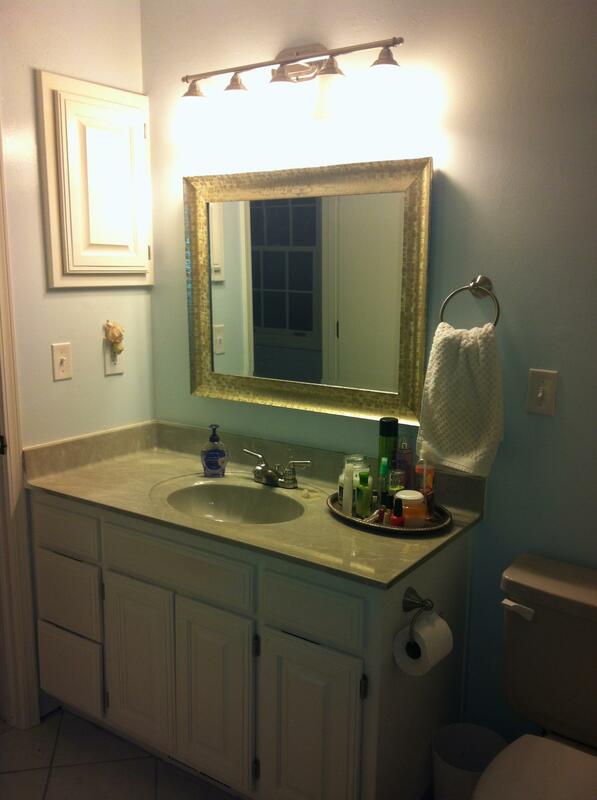 I painted the bathroom a very light blue and used gray/white marble-like tile in a diamond pattern. After adding new fixture, new faucet, and new mirror, the original red & carpeted bathroom transformed into a clean & airy bathroom. The kitchen had the largest transformation. The glass tile backsplash definitely made a statement but since it had several neutral colors, it wasn’t too loud of a statement. I used large 16×16 special order tile. 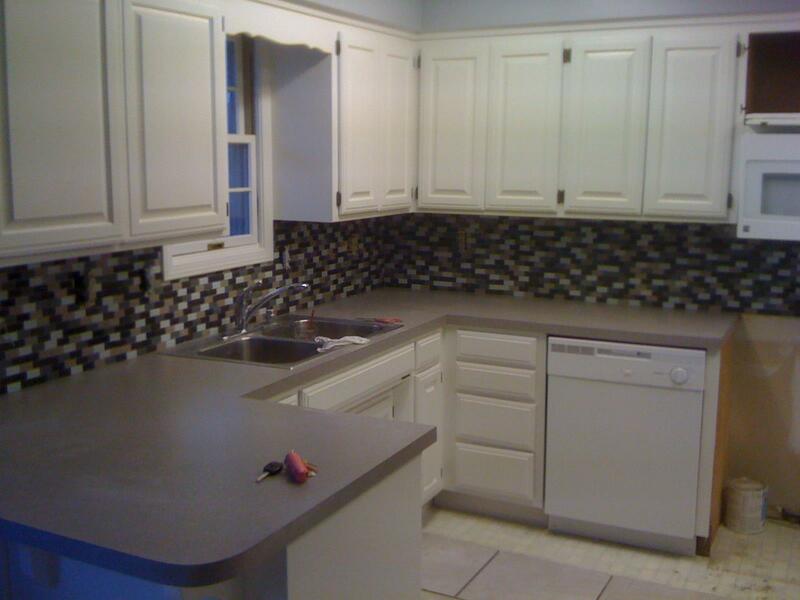 The colors of the tiles were the same as the glass tile backsplash. I also chose high-end Formica to accent the tile. I discovered that Sam’s Club carries laminate wood flooring at an extremely low price. 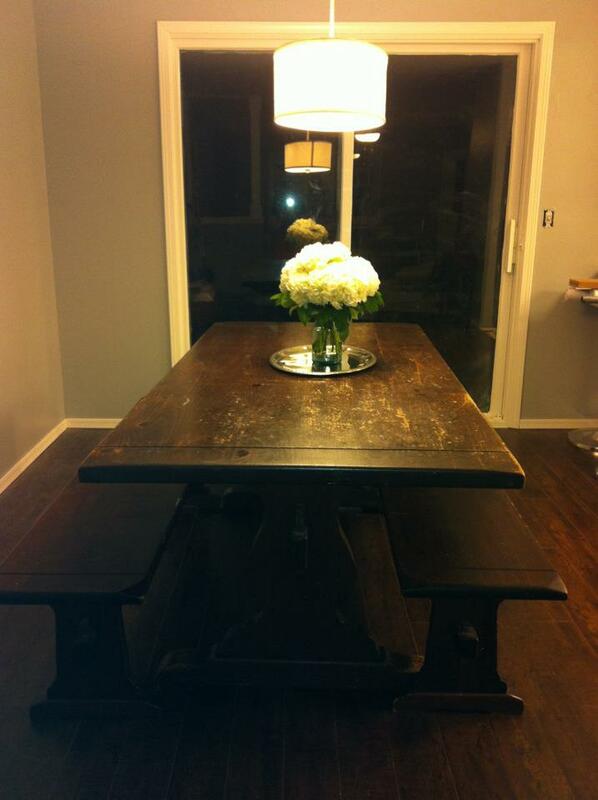 I chose a dark walnut color for the dining room. Since the tile in the kitchen had dark brown accents and the carpet had brown flecks, I thought the walnut was a good contrast for both of them. Installing the wood floors was a very easy process. 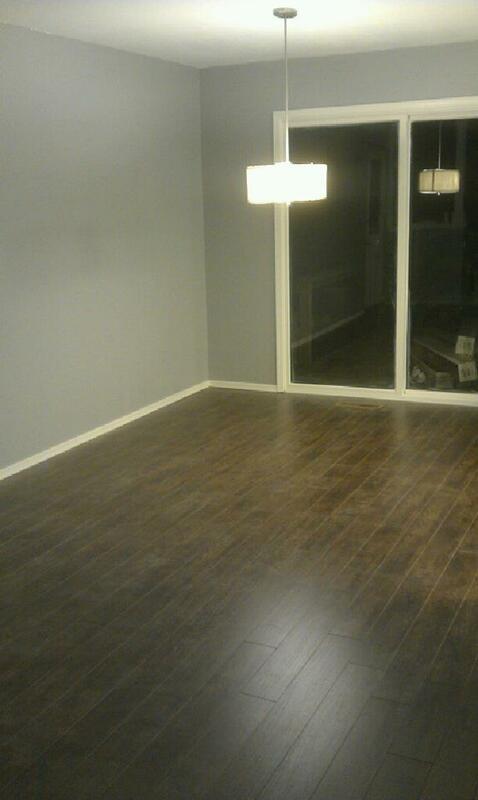 I spent a morning installing the wood floors and by lunch, they were done. I kept the original fireplace mantel but painted it a crisp white. 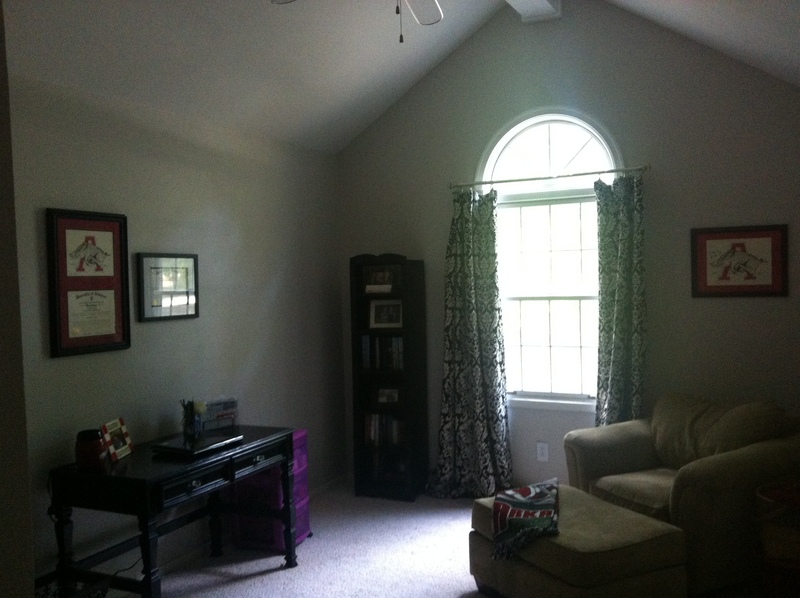 Since I added the wooden beams in the living room, I wanted to paint that room a different color. I found a tan color that had hints of gray in it. Since the rest of the walls were gray, it was a good accent. I added ceiling fans to every room. 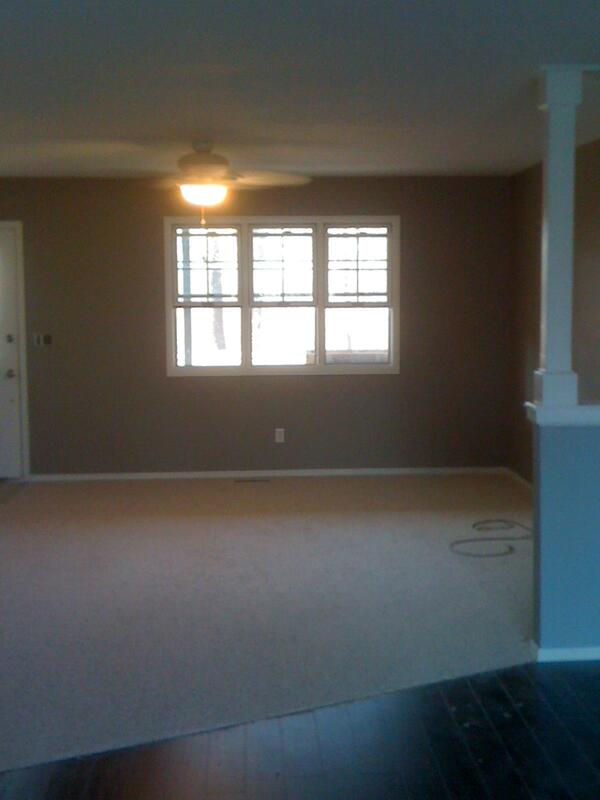 The living room had been the only room with a fan and the bedrooms only had dated light fixtures. Given Arkansas’ hot summers, I think a fan in a bedroom is a necessity. For the bedrooms, I purchased the fans from Wal-Mart. I do not recommend this at all. After a few months, they stopped working and Wal-Mart doesn’t allow you to return them. After dealing with the manufacturer for months about the warranty and getting them replaced, I received a new fan. Next time, I won’t purchase from Wal-Mart…even if it is cheaper. 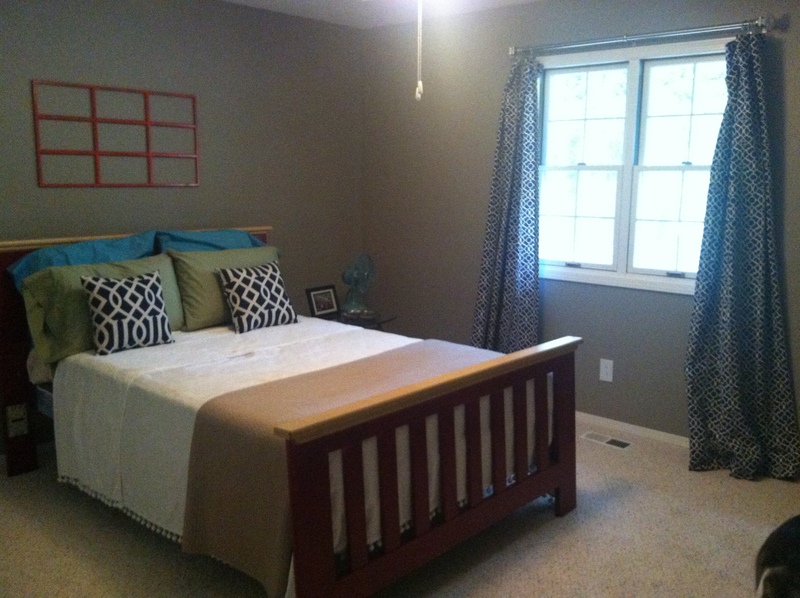 After all the hard work of destruction and construction, the work of home staging began. I think it’s important to keep a very clean house for showings. I tried to highlight the best features in the room and mask the not-as-great features.